California’s rivers, streams and the creatures that depend on them are in trouble. Pollution, degraded habitat, and dwindling riverside forests have caused native fish and bird populations to plummet – some to near extinction. Many landowners and restoration advocates across the state want to help, but regulatory approval of environmental restoration projects can be slow, complex and expensive. Sustainable Conservation works with state and federal agencies in California to simplify the permitting process, while maintaining strict environmental standards, so more restoration can be done now, not years from now, to help our wildlife and communities thrive. Sign up for our restoration updates. 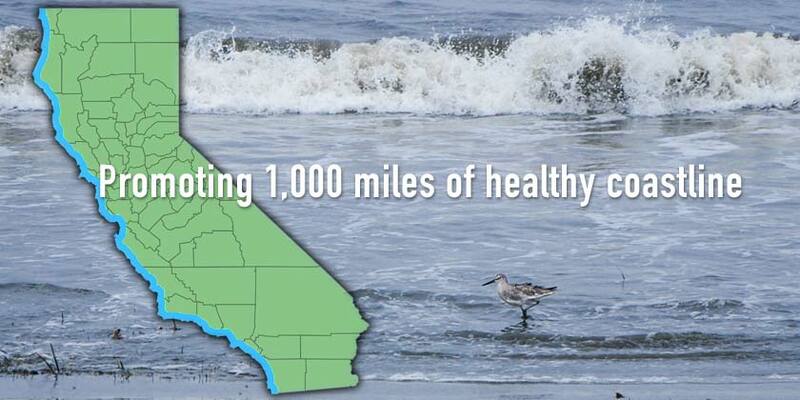 Our vibrant landscapes, clean water resources, and iconic species are losing ground in California. Imperiled plants and animals come back from the brink, and we protect the environment in a way that balances human and habitat needs for generations to come. California is a biodiversity hot spot – you can find many species of plants and animals here that exist nowhere else on earth. However, we’ve made a lot of changes to our wild and working lands over the past 150 years. These changes often come with unintended consequences for species like fish, birds and amphibians that depend on clear, cool water and healthy river habitat for their survival. We’re also disconnecting our rivers from natural floodplains, removing critical forests and clouding waterways with excessive sediment. Fortunately, many landowners, land trusts, parks and open space agencies, non-governmental organizations (NGOs) and community groups want to help these imperiled fish and critical habitats come back from the brink by restoring the healthy ecosystems we’ve lost. 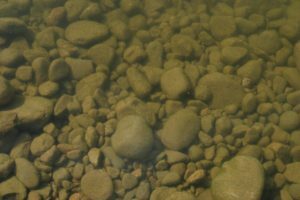 Sediment can cloud waterways and impact habitat for fish and wildlife dependent on clean, clear water. Sustainable Conservation helps these restoration champions become part of the solution by working with state and federal agencies to ease one of the major obstacles to getting beneficial restoration done: permitting. Developing simplified permits helps restoration advocates move forward to restore streams, rebuild habitat and reduce soil erosion to boost clean water and wildlife without sacrificing critical environmental protections. California has ambitious plans to restore a lot of our lands, and these permits help get more beneficial projects done, faster, while keeping available funding focused on getting projects built. We remain a go-to resource for resource-agency staff and individual project proponents, and our team works across the state to make sure that once permits are in place, people are empowered to use them and keep the conservation momentum going. Healthy, revitalized rivers and other waterways improve water quality and supply so people, farms and wildlife have the water they need to thrive. As we face ever more extreme climate changes and environmental challenges, each effort to restore and revitalize waterway habitat adds up to a meaningful win for the entire state. Simplifying permitting for restoration means people can implement beneficial projects faster and easier to help our habitats and waterways rebound. We’re working with federal and state agencies to develop a variety of statewide permits so more types of restoration can revitalize our degraded landscapes, habitat and wildlife populations. 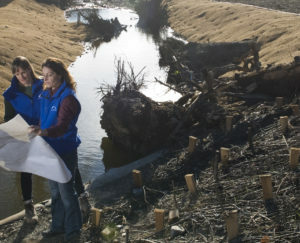 Improving aquatic, floodplain and streamside habitat is long overdue in California’s Central Valley – agricultural production and development have changed the landscape significantly, and restoration projects in this region can add up to big wins for water quality, quantity and species’ habitat. To speed this process, we developed a simplified permit with the National Marine Fisheries Service (NMFS) for critical habitat restoration projects in the Central Valley, through the Sacramento and San Joaquin River watersheds and Delta. The permit was signed in August 2018. 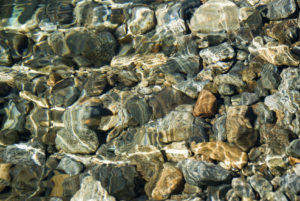 Clean, cool water is critical for thriving populations of fish, other aquatic species, and even non-aquatic species like birds and humans. We’re working with the U.S. Army Corps of Engineers, U.S. Fish & Wildlife Service, and the State Water Resources Control Board to begin development of two statewide simplified and coordinated approvals to cover aquatic and riparian restoration and water quality improvement projects, including work that can help recharge depleted groundwater aquifers. 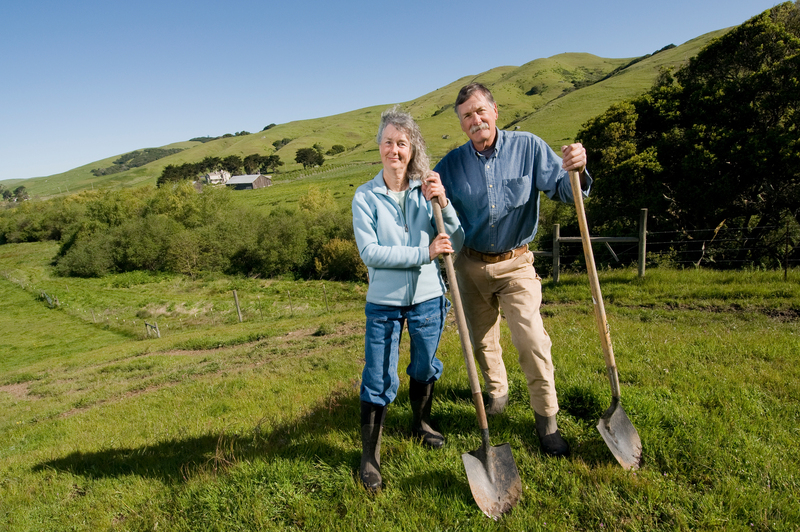 First-of-its-kind legislation enacted in 2015, the Habitat Restoration and Enhancement Act expedites the permit process with the California Department of Fish & Wildlife for small-scale, voluntary projects that improve rural habitats, urban watersheds and coastal water quality. Accelerating the pace of habitat restoration in California means making sure everyone knows that these advance approvals are available for their beneficial projects and for their communities. We’re hard at work every day reaching out to project applicants and proponents, from other NGOs to land trusts and grant makers. We provide individual application assistance as well as technical assistance to organizations and groups seeking to learn more about how they can make use of available permit processes. 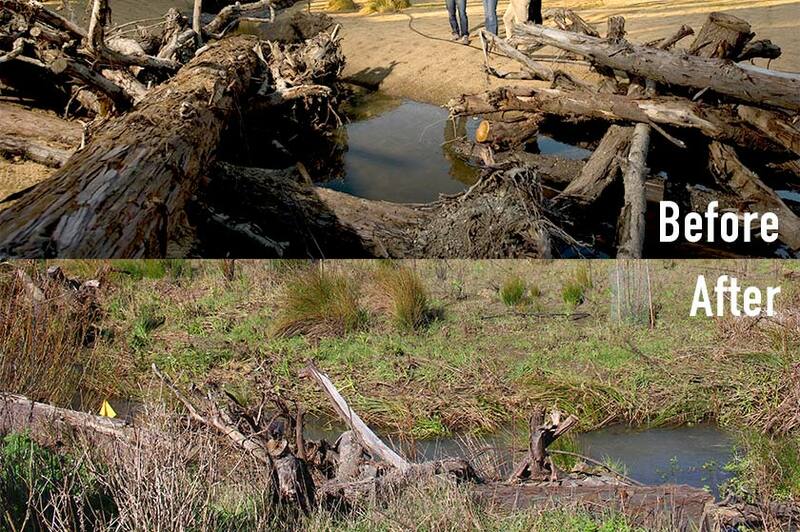 Before and after creek restoration at Green Gulch Farm (Marin Co.) to benefit imperiled Coho salmon that previously struggled against high stream flows, and lack of spawning and rearing habitat. 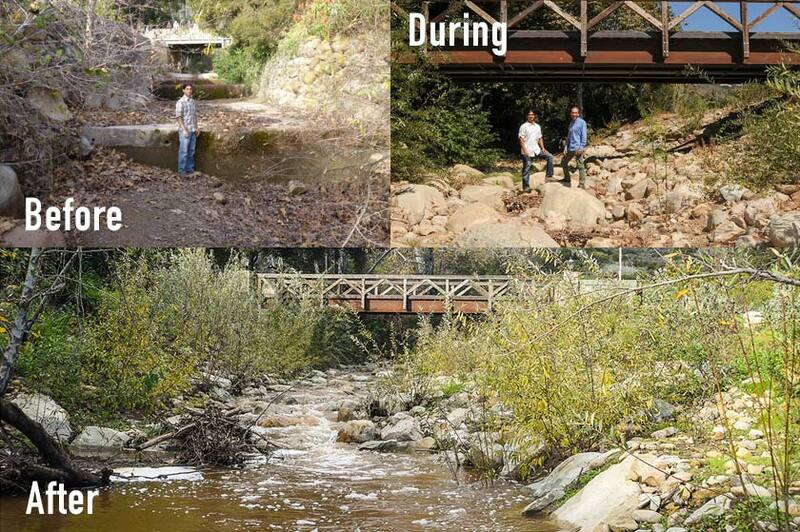 Before, during and after restoration along Carpinteria Creek (Santa Barbara Co.) that restores access to more than a mile of high-quality and rare habitat for Southern California steelhead. Learn about the benefits of the Sustainable Conservation-led Habitat Restoration and Enhancement Act in accelerating the pace of important restoration across California to benefit clean water and wildlife. In 2016, we worked with NOAA on the final link in the permit chain for restoring California's 1,000-mile iconic coastline. Check out the latest HRE Act-enabled restoration project: Western Shasta RCD's side channel to enhance habitat for critical Chinook salmon! Juvenile fish have already been spotted using the channel to rest, rejuvenate and forage for food on their long aquatic journeys. Video courtesy of Harmony Gugino.